I have found a new luv, it’s baking! Something about the measuring of ingredients feels quite cathartic. So when I got a cake pop tray from Nic for my birthday (thanks my friend) I was eager to try these suckers out (see what I did there?!). 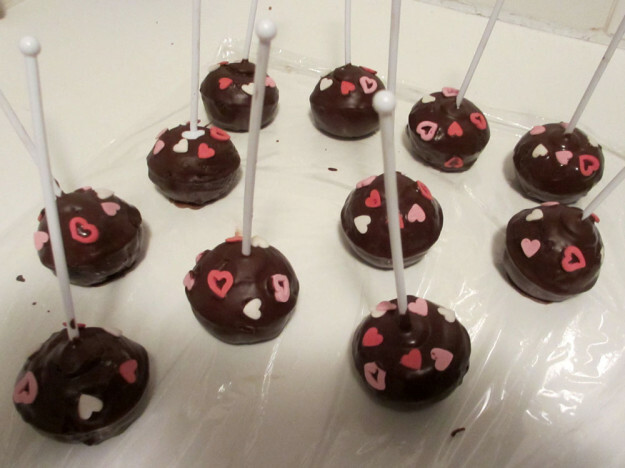 If you don’t know what a cake pop is let me break it down for you … it is cake on a stick that has been dipped in chocolate. Yummy delish much? The other thing about baking is that although I love to do this, I don’t seem to like to eat the finished product, or at least will only have a piece from the batch. Weird huh?! The old school way of making cake pops is to make the cake and then form the balls by hand. Mission – this way is much easier. The tray does all the work for you. Strangely enough when you’re making cake pops you’re not going for baker of the year, light as air cake, you are actually looking for quite a dense cake. Otherwise you find you bite into a ball of air – not as kiff. I found a recipe online and off I went. The batter is pretty easy and you need to spoon the mixture in half way and then put the other half of the lid on and into the oven she goes. A short while later you have yourself a bunch of chocolatey (/ vanilla / whatever flavour you’re making – I went for chocolate). You then need to melt some chocolate, which it turns out I am totally rubbish at and managed to burn the first batch so it was pretty revolting. Anyways after successfully melting the next batch you dip the end of the sticks into the chocolate and stick them into the cakes. Next step is the fun part, once the cakes are cooled you get to dip them into more chocolate and decorate them. I went for something simple – candy hearts that I bought. But they did the trick and I think they came out pretty well. My next batch of cakes I want to try is red velvet … with some kind of cream cheese icing instead of chocolate. What do you think? 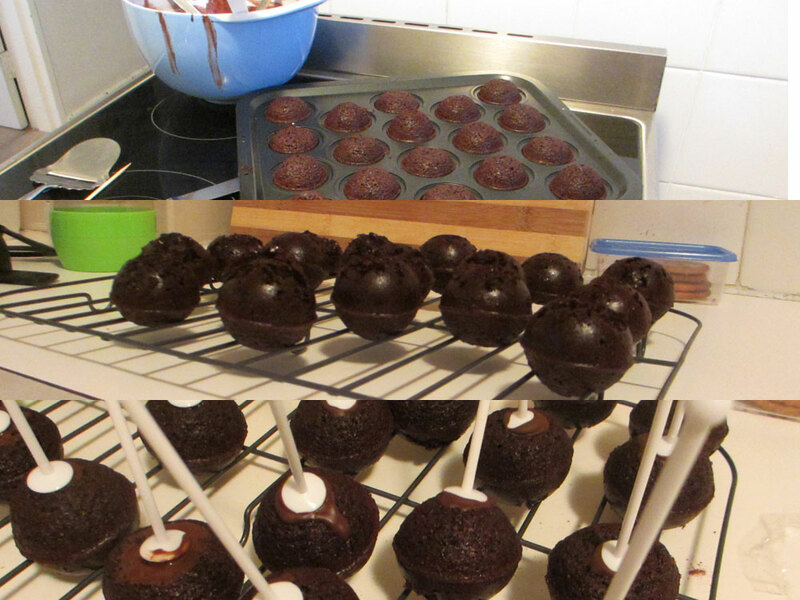 This entry was posted in Eat and tagged baking, cake, cake pops, presents, yummy delish.